RIGAUD, QC – Microbrasserie Le Castor has announced the addition of a new beer to its year-round brand line-up, one inspired by the hop-forward IPAs from the west coast of North America. “Our objective for this beer was to really showcase the citrus and tropical fruit aromas and flavours of these hops, without obscuring them with anything else,” says Daniel Addey- Jibb, co-owner of the brewery. In order to achieve this, the malt bill was simplified, crystal malts were eliminated, and the beer was allowed to dry out during the fermentation process. Clocking in at 75 actual measured IBUs, the beer incorporates massive amounts of hops throughout the brewing process, with heavy emphasis on late and dry-hopping. 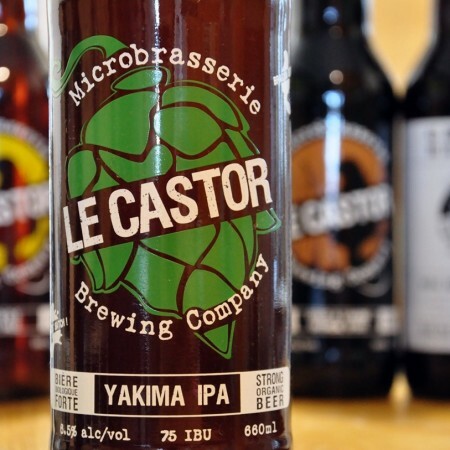 As with all Le Castor beers, Yakima IPA is made with organic ingredients. It is available now on draught and in bottles throughout Quebec.